Now The Details: Washington Post: What Happened? 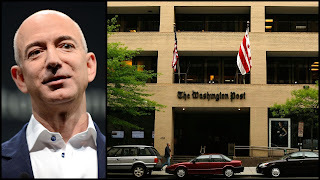 Much has been written about why a paper as storied and as talent-rich as the Washington Post had to be sold to Jeff Bezos of Amazon. For the macro view of what happened, no one has written more cogently than Henry Blodgett of Business Insider. Mathew Ingram from GigaOm has also brilliantly summarized the scene here. The sale of the Post coming only days after the Boston Globe was sold by the New York Times says volumes about how uncertain newspaper ownership has become. The economics of journalism are fraught everywhere and no one seems to have found the right formula. But a couple of ideas are worth considering. 1. Newspapers are still good business, if done properly. It is true that profit margins are falling. But there are still reasonable profits to be made. Just not enough for shareholders who are demanding rates of return that are unreasonable. Publicly traded newspaper companies are a clash waiting to happen: shareholders demand profits and citizens need information: two concepts that cannot be reconciled for now. (Bill Keller, when he was executive editor of the New York Times told me that when he announced an expansion of the editorial staff at the paper, the stock market reacted by pushing the value of Times' shares down. The lesson? Any investment in a media company is not a profit to be realized to shareholders). more than so-called Big Pharma. In the US, newspapers had an average annual rate of return of 13%. So what happened to the Washington Post? less than 500,000 today. Cuts to the newsroom quickly followed and staff was reduced from more than 1000 to around 650. Attempts were made to find new partners, create paywalls, cut costs including closing bureaus in the US and overseas. The Post also fired its ombudsman and replaced him with a part time, semi-retired "reader's representative." Still there was a powerful journalistic culture that remained. But the clarity of vision and purpose seemed less than it was. Talented managing editors were brought in but soon were replaced. Among them, Phil Bennett (now with PBS' Frontline) and Marcus Brauchli from the Wall Street Journal. Publisher Katherine Weymouth is now trying out Marty Baron, former executive editor of the Boston Globe. The Post's heyday of Watergate coverage is now more than a generation old. Over the years, the Post tried a number of approaches to restore its lustre and former glory, yet none seemed to have much staying power. Should the Post be predominantly a Washington, DC paper, in a company town where the main industry is politics? Or a national newspaper explaining the vagaries of government to the rest of the country and the world? What about a national paper that still covers City Hall, along with the suburbs of Virginia and Maryland? And how well does it do in covering the huge demographic shift in the DC region - the shift of African-Americans from Washington, DC (once known as "Chocolate City") to the Maryland suburbs? My reading of the Post was that it regularly ignored the many achievements in the black community and focused on its troubles. Editorially, the Post seemed unable to make up its mind which stories it wanted to own. It still was capable of great journalism and the scandal of the appalling Veterans Affairs hospitals comes to mind. But its redesigned website (and the paywall that came with it) was a mess and unnavigable. Many are hoping that Jeff Bezos' can mix marketing and media. His track record at Amazon is not bad, to say the least. Some worries about his economic libertarianism and anti-tax and anti-union tendencies have some worried. But at least there may finally be some clarity about how a newspaper should function in this disruptive digital environment.